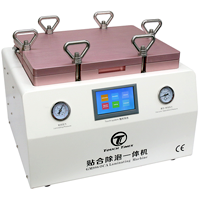 Automatic LCD press (vacuum laminator) whith build-in autoclave TBK-608 12'' is controlled by touch screen fully automatic vacuum-pressure laminator with built-in LCD autoclave, compressor and vacuum pump, designed to repair LCD screens up to 12" using adhesive plasters OCA. Device does not require any other components besides connecting to the mains. There is therefore no need to purchase additional compressors and vacuum pumps! OCA Laminator Machine LCD 12'' VL688 suitable for capacitive touch screen Cover plate (Cover Lens) and functional Glass Sensor (Glass) of OCA laminating process; Apply to the Touch screen (Touch Panel) and liquid crystal module (LCD Panel) of the OCA laminating process, at the same time can also be applied to other areas of membrane, glass to glass (glass) of hard in hard OCA laminating process. In the machine can be placed display up to 12 ". 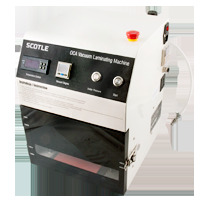 OCA Scotle Laminator Machine suitable for capacitive touch screen Cover plate (Cover Lens) and functional Glass Sensor (Glass) of OCA laminating process; Apply to the Touch screen (Touch Panel) and liquid crystal module (LCD Panel) of the OCA laminating process, at the same time can also be applied to other areas of membrane, glass to glass (glass) of hard in hard OCA laminating process. In the machine can be placed display up to 7 ". 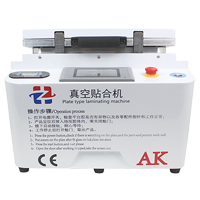 Automatic Press/Laminator MT-201 OCA LCD 17"
Automatic Press/Laminator MT-201 OCA LCD 17" is dedicated to the final heat (40-50C) combining the LCD and glass phone / tablet using a patch glue OCA. 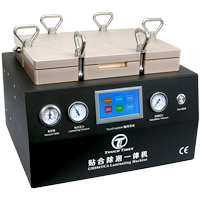 The whole process is by pressing both parts joined heated press pressure on the pressure 0-10kg / cm 2 under vacuum (-94-98kPa). 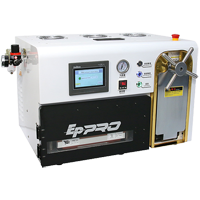 The use of the laminator eliminates the possibility of the appearance of air bubbles that may occur some time after the completion of the process in the event that will only be used autoclave OCA. 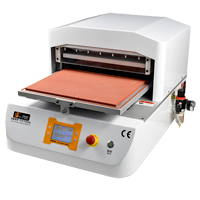 LCD Press/Laminator whith build-in autoclave GM998 V2 5 in 1 with LCD is automatic vacuum-pressure laminator with built-in LCD autoclave, compressor and vacuum pump, designed to repair LCD screens up to 14,7"using adhesive plasters OCA. Device does not require any other components besides connecting to the mains. There is therefore no need to purchase additional compressors and vacuum pumps! 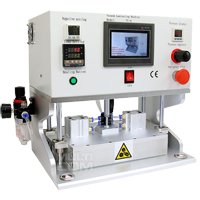 LCD Press/Laminator whith build-in autoclave M-TA02CP 5 in 1 with LCD is automatic vacuum-pressure laminator with built-in LCD autoclave, compressor and vacuum pump, designed to repair LCD screens up to 12,5"using adhesive plasters OCA. Device does not require any other components besides connecting to the mains. There is therefore no need to purchase additional compressors and vacuum pumps! 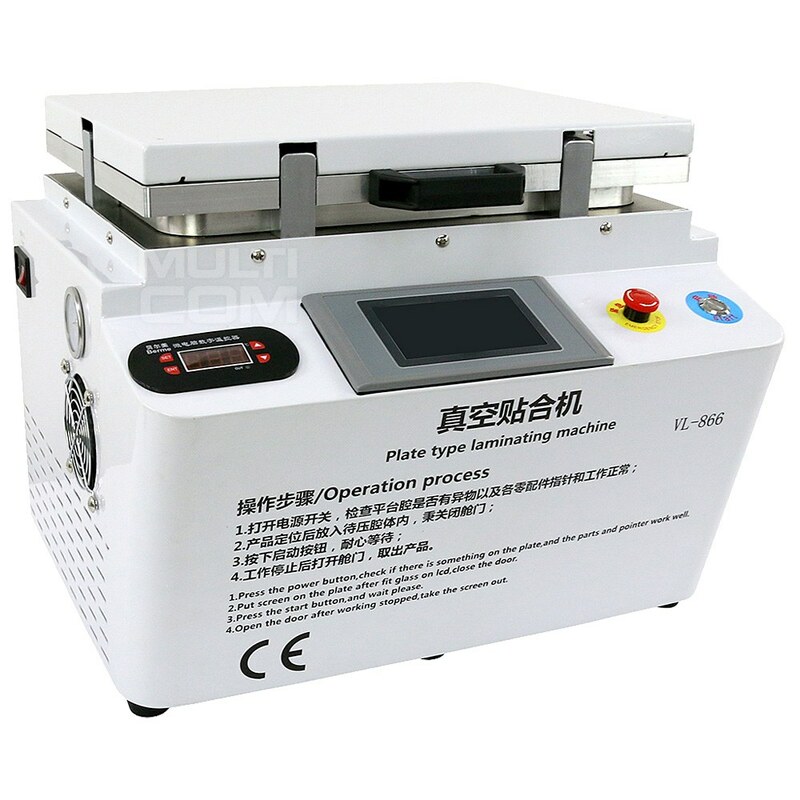 LCD Press/Laminator with build-in autoclave GM958v2 5in1 with LCD is automatic vacuum-pressure laminator with built-in LCD autoclave, compressor and vacuum pump, designed to repair LCD screens up to 13,5" using adhesive plasters OCA. Device does not require any other components besides connecting to the mains. There is therefore no need to purchase additional compressors and vacuum pumps! 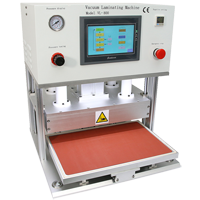 LCD Press/Laminator with build-in autoclave VL-866 with LCD is automatic vacuum-pressure laminator with built-in LCD autoclave, compressor and vacuum pump, designed to repair LCD screens up to 13,7" using adhesive plasters OCA. Device does not require any other components besides connecting to the mains. There is therefore no need to purchase additional compressors and vacuum pumps! OCA Laminator Machine LCD 11'' VL-6 suitable for capacitive touch screen Cover plate (Cover Lens) and functional Glass Sensor (Glass) of OCA laminating process; Apply to the Touch screen (Touch Panel) and liquid crystal module (LCD Panel) of the OCA laminating process, at the same time can also be applied to other areas of membrane, glass to glass (glass) of hard in hard OCA laminating process. 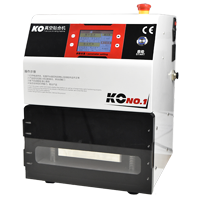 In the machine can be placed display up to 11". OCA Laminator Machine LCD 9,8'' M-TRINAGEL M-TA01DM LCD OCA suitable for capacitive touch screen Cover plate (Cover Lens) and functional Glass Sensor (Glass) of OCA laminating process; Apply to the Touch screen (Touch Panel) and liquid crystal module (LCD Panel) of the OCA laminating process, at the same time can also be applied to other areas of membrane, glass to glass (glass) of hard in hard OCA laminating process. 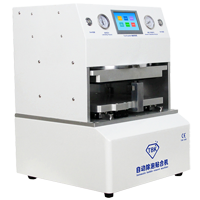 In the machine can be placed display up to 9,8". OCA Laminator Machine LCD OCA 17" VL800 suitable for capacitive touch screen Cover plate (Cover Lens) and functional Glass Sensor (Glass) of OCA laminating process; Apply to the Touch screen (Touch Panel) and liquid crystal module (LCD Panel) of the OCA laminating process, at the same time can also be applied to other areas of membrane, glass to glass (glass) of hard in hard OCA laminating process. In the machine can be placed display up to 17". 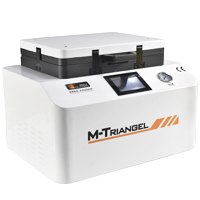 Pneumatic LCD Press/Laminator with build-in autoclave M-TRIANGEL MT12 with LCD is automatic pneumatic vacuum-pressure laminator with built-in LCD autoclave, compressor and vacuum pump, designed to repair LCD screens up to 13,3"using adhesive plasters OCA. Device does not require any other components besides connecting to the mains. There is therefore no need to purchase additional compressors and vacuum pumps! 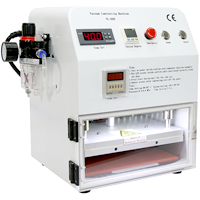 Pneumatic LCD Press/Laminator with build-in autoclave TBK-808 5in1 with LCD is automatic pneumatic vacuum-pressure laminator with built-in LCD autoclave, compressor and vacuum pump, designed to repair LCD screens up to 13,5"using adhesive plasters OCA. Device does not require any other components besides connecting to the mains. There is therefore no need to purchase additional compressors and vacuum pumps!